Day 2 of the New Year: Another Awesome Day! This is what we woke up to this morning. How awesome is that? Kathleen has been here since the 24th and she goes back to SoCal tomorrow. I wanted so much for her to experience the joy of waking up and seeing her new home covered with snow. And here it is. God is so good :) Y’all enjoy! Once again… have a great year… alla y’all! 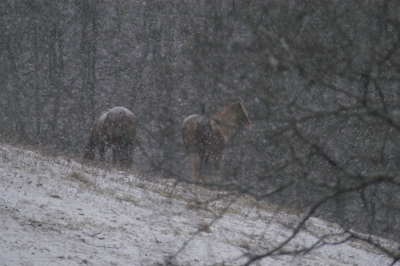 Hee Hee, I am always amazed at how much fun my three horse have in the snow. I swear they like the deep parts the best. 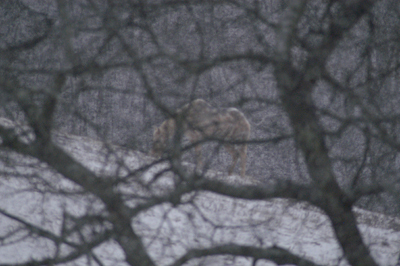 I just this minute looked out my kitchen window to see if they were at the run-in or out farther. I still have to remind myself that they are okay despite the cold and snow (Upstate NY near lake Ontario). Wish I could share my own photos – not sure how or if I can here ??? Blessings to you and yours this new year. I am asking the Lord for a better year than 2009. Lost my Dad in Oct. & my neighbor’s barn burned to the ground Dec. 29th with three of their 8 horses stalled inside, the best barn kitty ever, all their hay (75 round bales), all their tack, farm equipment, and memories. They will never stall a horse again. It has been too sad these last few months. 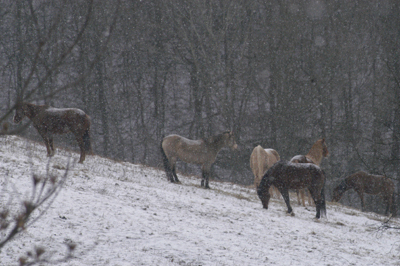 Looks oh so cold to me but beautiful and your horses seem to be playing like kids in the snow. Thanks again for sharing. fit into the herd, right? in NY. THIS is winter! like a large lump – I’m so bundled up. However, Cougar (dog) loves it. I just had to add my own Minnesota 2 cents, too! I do not blanket my mare, but when I returned from 2 weeks in Florida, my mare had been blanketed by the barn owner where I board her — with 2 blankets — and was shivering. So, I removed both blankets (despite the -17 temps) and when I returned in the morning, my mare was fluffy, much happier and wasn’t shivering a bit (the temps were -9 at that point). WOW! Snow : shock: I’ve never seen snow!! well only when I open the freezer …. 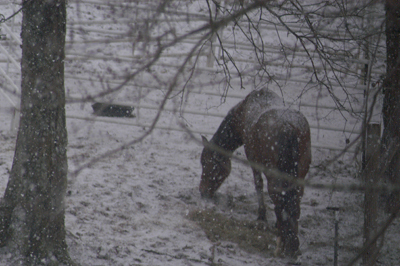 lol Don’t your horses feel the cold? Breaking the ice looks like fun Joe…NOT.. It’s the middle of summer here. Being sub tropical we have the wet season with temp around 30 celcius. 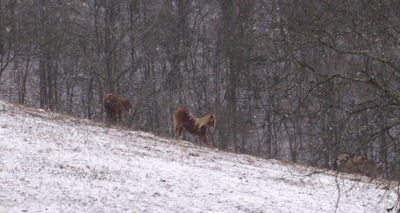 Thanks for sharing your wonderful photos of your beautiful horses playing in the snow. All we get here is a HOT Christmas and new year, it’s all I’ve ever known. Love your new place. I hope you , Kathleen and all your furries a wonderful new year.. The pictures were beautiful and thank you for sharing. 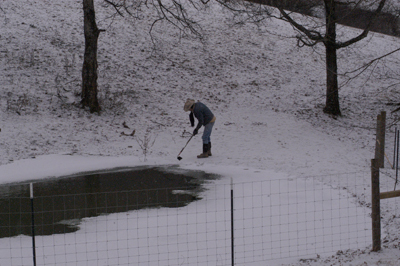 Joe, what were you doing at the pond? You were right in that I giggled when you spoke of the temperatures you are experiencing. I woke up to -25 this morning with a wind chill of almost -40. 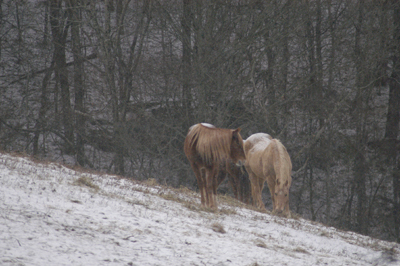 But I did the same as you did, fed more hay, a warm mash to keep the horses systems operating and was in awe at how the cold did not seem to bother the horses near as much as it was me. I am glad Kathleen was there to enjoy the beauty of a new snow fall.